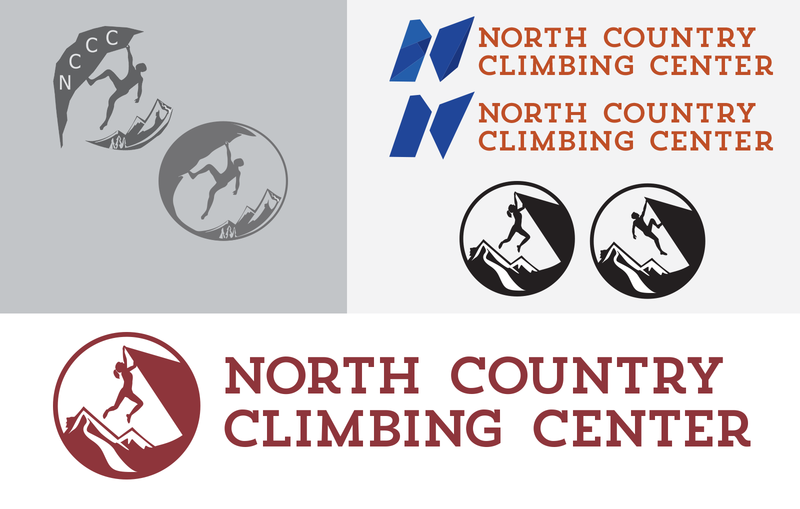 The North Country Climbing Center badly needed a logo makeover. 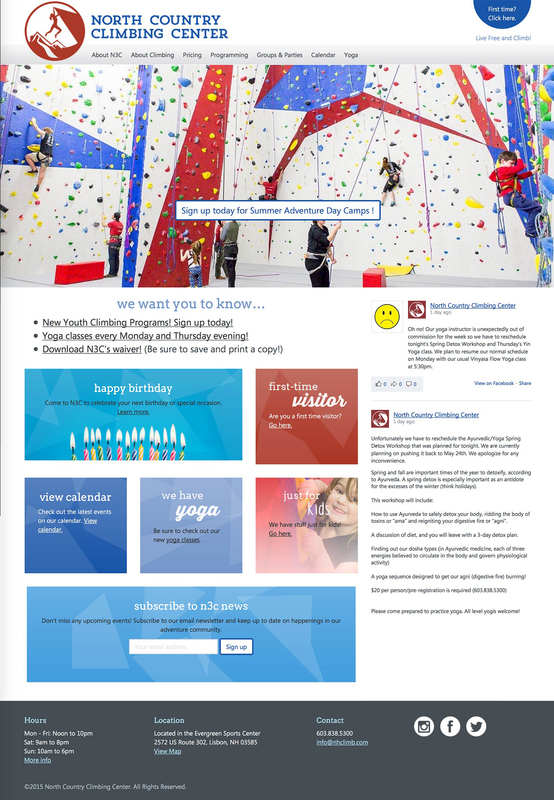 The final version incorporated the unique cliff shape from the actual climbing wall in the gym, along with the iconic New Hampshire "Old Man of the Mountain" silhouette. Opinions were split over the use of the man or woman silhouette; ultimately the client decided to go with the woman to make the gym more accessible.